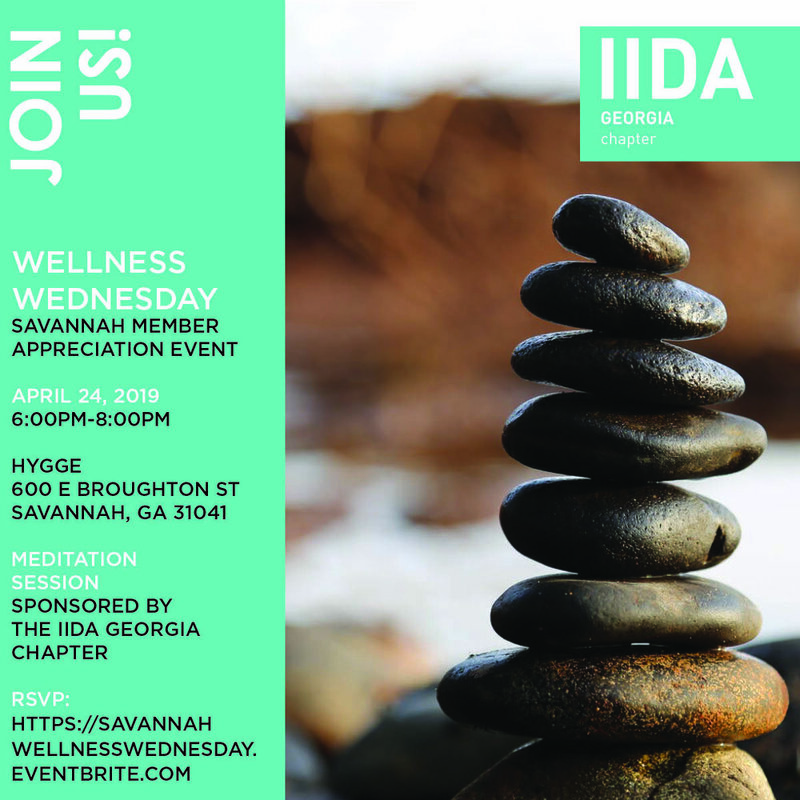 Please join us in Savannah for our IIDA Member Appreciation Event! Reconnect with your spirit-filled self through a guided meditation and relaxation movements led by Katy Keyes, LMT, RYT. Registered and experienced in leading yoga practice for various ages and abilities, Katy is also a certified yoga therapist and licensed massage therapist. Her caring demeanor, calming influence, and love for sharing her knowledge with those around her will inspire all present to pursue paths of wellness that can be incorporated into daily life.